I Corinthians 15:1-2 says, “Moreover, brethren, I declare unto you the gospel which I preached unto you, which also ye have received, and wherein ye stand;” Paul reminds us to continue believing God’s Word and meditating day and night according to Joshua 1: 8, to become prosperous and successful, “This book of the law shall not depart out of thy mouth; but thou shalt meditate therein day and night, that thou mayest observe to do according to all that is written therein: for then thou shalt make thy way prosperous, and then thou shalt have good success.” That is what we want for our brethren in the Lord that they will grow in God’s grace through His words. We have 3 cell groups for Bible Studies; one in the Cielito area, with 8 families every Saturday morning. The other one is held in the home of Sister Jona in the Franville area which is a long distance from the church. There are five families who meet every Friday afternoon. The third one meets in the house of Sister Mercy. There were 4 families who meet every Tuesday. We also have our family Bible study every Friday evening in the home of Sister Leny and Saturday evening in the home of Sister Rachel Verde. 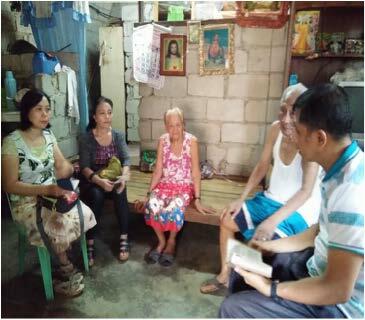 The Bible Study Team is very devoted in the Lord’s work, together with Pastor Arnel Cuba. Praise God for the opportunity to share His Word. Let us pray for them that they can be a blessing as they share the Word of God and that they will be strengthened in the Lord’s ministry. The First Free Will Baptist Church Manila, had its yearly Outdoor Fellowship. This is the time for the church family members to have fellowship, and thanksgiving for all the blessings we have received from God, and for those siblings graduating from primary, secondary, and college.. The most important thing about this event was the baptism of new Christians. 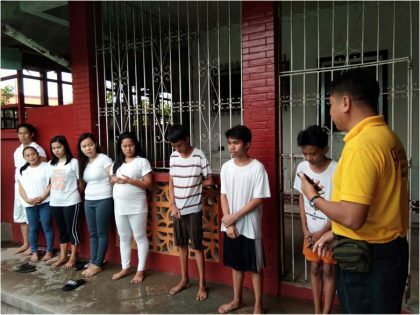 The baptism was held at Panzol, Laguna. By the grace of God we are blessed with so much food, safe trip, and fellowship with each other. Some went swimming, while others had fellowship in the kitchen while cooking and preparing food for the brethren. We had 8 new converts baptized by Rev. Mark Taladro and Rev. Arnel Cuba. Continue to pray for these new members to grow and become active in the church. 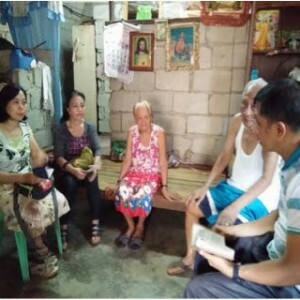 They are undergoing Bible studies with Pastor Arnel Cuba for their spiritual growth, and training in God’s Word, preparing for great responsibilities as a new member of God’s Family in First Free Will Baptist Church Manila. Thank you for your prayers. The theme of our Daily Vacation Bible School was “My God is So Big, So Strong, and So Mighty,” with Scripture taken from Psalms 147:5. We shared with the children how God was a wonderful and mighty Savior in the lives of different Bible characters. We stressed that God will help them in their troubles and difficulties just as He helped David the young boy with his opponent Goliath, the 3 young and brave men, Shadrach, Meshach and Abednego when they stood their faith against the rules of the King Nebuchadnezzar, and the life of zartemaeus when he trusted and obeyed, God let him see. We encouraged the children to be faithful, relying on God’s power in everyday life. With God nothing is impossible. 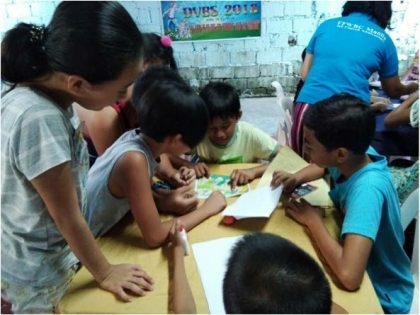 They enjoyed listening to the stories, singing, memorizing verses, and doing some activities. Praise God for the different family members who gave their share in daily cooking and feeding the children. To God be the glory. Let’s pray for them to grow more.